You read it right. 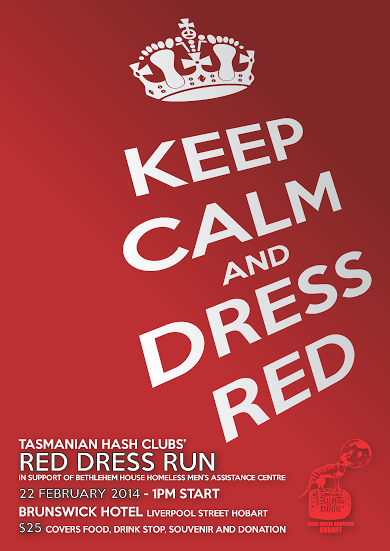 Keep calm and Dress Red! 22 February, 1pm start from the Brunswick Hotel, Liverpool Street, Hobart. $25. Be there!